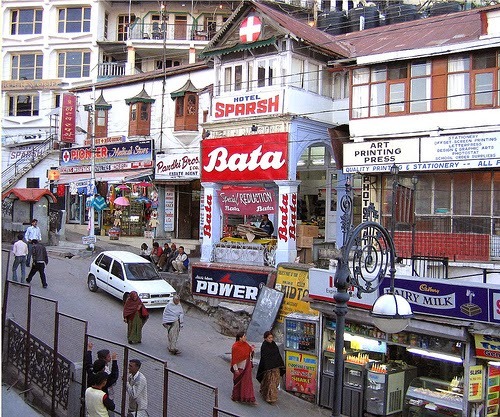 The Mall is the heart of Mussoorie. A walk through the mall throws glimpses of the colonial period with the benches and lampposts lined up and is a beautiful experience. Being in the center of the city, one has to pass the Mall enroute to any place in the city. The 1980s style video game parlors, skating rinks, the Methodist Church are all attractions in this area. The skating rinks are popular among children and adult alike, and are charged at Rs 80 per hour. Fans of Ruskin Bond seeking his autograph should not miss the opportunity to visit the Cambridge Bookstore, where he is often seen.